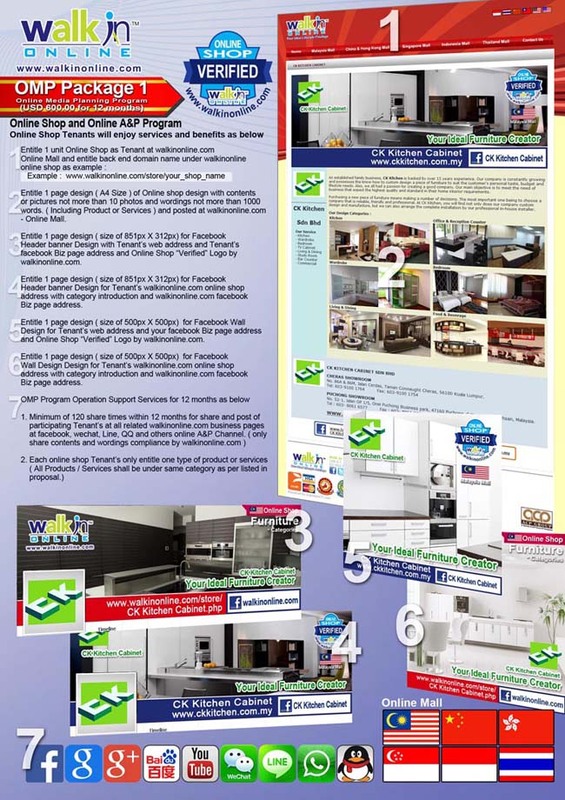 With the advancement of digital online advertising and marketing, the online advertising landscape is becoming complicated. Therefore, it is even more essential today to have a compact online marketing strategy to ensure the success of your online advertising and promoting branding campaign. Our experienced online media consultants will help you in the design and execution of your online advertising and promoting branding campaign to reach out to the right audience, in the right place and at the right time, so that the returns on your online advertising dollar is maximised! A good online advertisement will effectively target the right customers and market what your business has to offer in the best possible way. It will make people want to act upon seeing it. Our creative and multimedia team will conduct thorough research of your business and products to create an online advertisement that brings a clear message to the audience. Most importantly, we will assist you in creating a memorable online advertisement that will enhance your brand image and subsequently improve your sales! 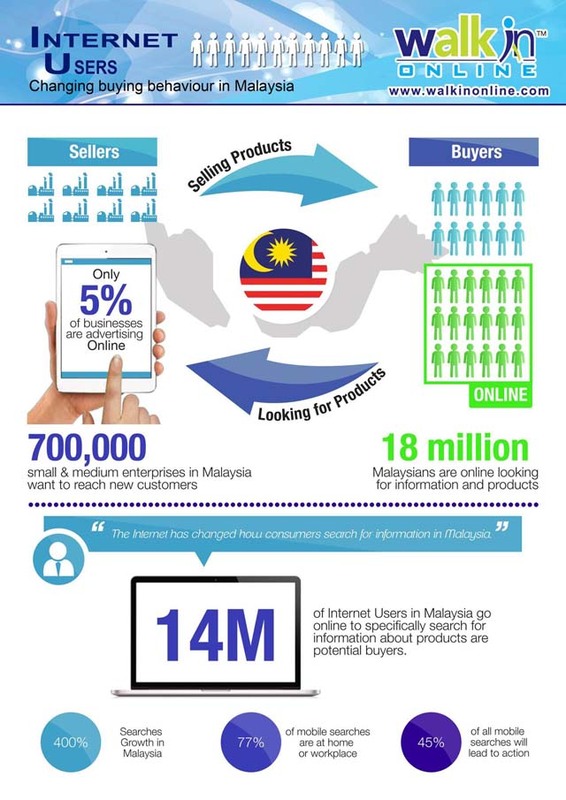 Various consumer studies show that more than 63% of the population go online to research before they buy a product. Our certified online advertising consultants will planning and execution of an effective online advertising campaign as well as social media campaign to improve your online presence and to tap into the ever-growing online audience. Communicate, respond and learn your audiences' wants and needs. Build a strong brand foundation through social media. It is an excellent way for you to stay connected to your customers. 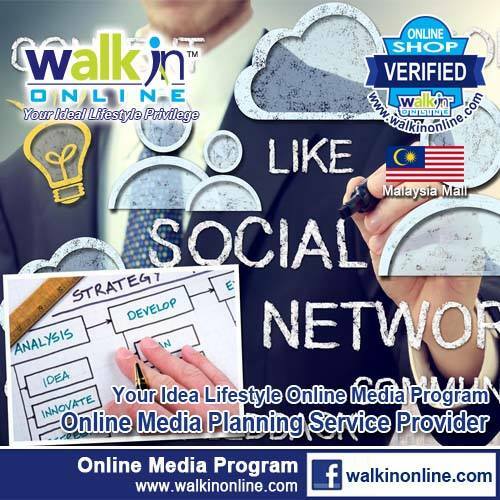 Social Media Marketing is yet another method of online advertising which is currently used by almost all the well known and established brands both locally and internationally. 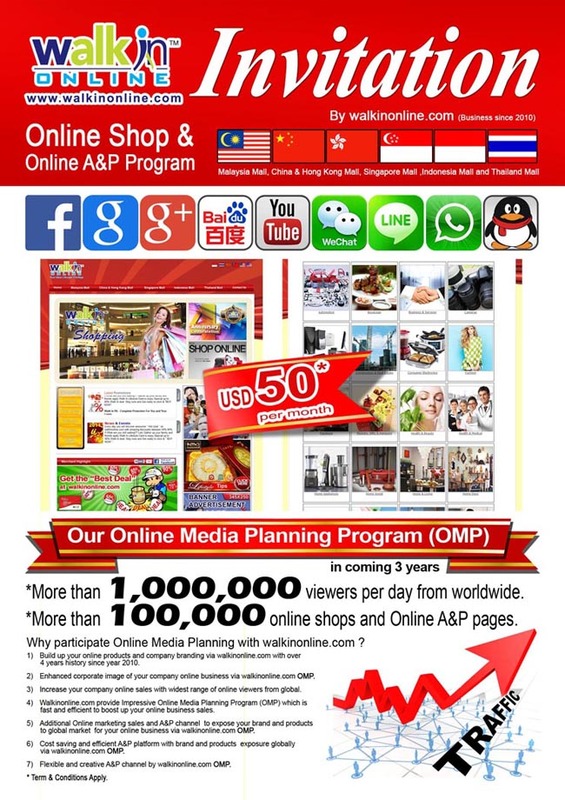 Popular WIO platforms include Facebook, Wechat, Line, YouTube, Weibo and blogs. However, aside from the greatness of WIO. Therefore before we embark on WIO for your firm, it is imperative for us to jointly develop the right WIO OMP strategy and goals. 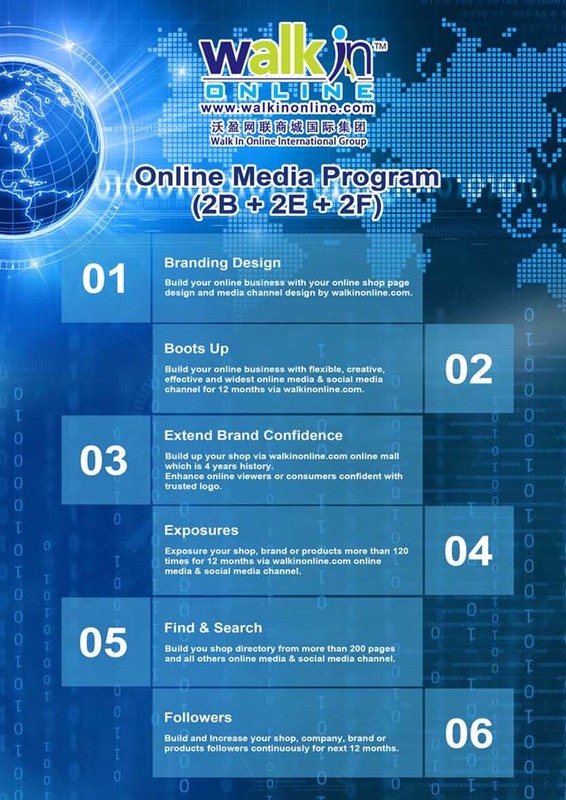 From here, we will determine the best way to assist you in your WIO OMP campaign. "The 'connected world' vision is no longer a buzzword — it's already happening," said Waqas Makhdum, vice president of marketing at cloud mobile app development platform Kii. "Over the next few years, we see it becoming an integral part of our lives, whether it is through smart homes, smart cars or smart health care. It's clear that the IoT will disrupt most industries." Five tech industry experts shared their thoughts on the major changes that will come with the evolution of the IoT, and what businesses of all sizes can do to prepare and adapt. In years past, technology advancements were focused on hardware: Everyone needed to purchase a certain device or program (and each subsequent version) in order to stay current. But as the IoT advances, Raj Badarinath, senior director of product marketing at commerce solutions provider Avangate, believes that this model is going to change. "Revenue will not come from the hardware, but instead from services on top," Badarinath said. "In the IoT era, new models such as subscriptions, freemiums and bundles are rapidly becoming the preferred choice over traditional hardware options. Services are easily upgradeable, much more amenable to ecosystems that are constructed around hardware, and provide multiple revenue opportunities rather than a one-time sale." The problem with this service-centric environment is that small businesses are struggling to find the best strategy to charge customers for value in a transparent, secure and easy manner, Badarinath said. A customer-centric commerce platform can keep track of critical data like purchase history, payment methods and loyalty program information to help companies improve the customer experience and create a solid foundation for monetization. The premise of the IoT is that, at any given time, devices can transmit data to and from one another and process it to improve decision-making. Businesses have already been tackling the challenge of harnessing Big Data through their own internal analytics platforms. The IoT presents this same challenge on an even larger scale. "The IoT is not just about connecting cameras, fridges, vehicles, etc.," said Todd Krautkremer, vice president of sales and marketing at cloud-based virtual private network service Pertino. "People want to analyze vast amounts of data and be able to do things with that information that are relevant and impactful. But how do we take this data and make it intelligible, accessible and actionable from a business standpoint?" It's clear that the IoT will continue to increase the amount of data businesses need to process. But with such a strong focus on finding the right data solutions, it can be easy to lose sight of your most important business driver: your customers. "Companies have to keep an eye on their customer experience," said Lynda Smith, CMO of cloud communication solutions provider Twilio. "There's a lot of work going into making sure [the IoT] experience is natural [to human users]." Smith reminded small companies to take advantage of the cloud to help them develop a great customer experience and compete with larger enterprises. This can range from using cloud solutions to deal with incoming customer data to facilitating customer service interactions in the cloud. The downside of the IoT is that more data and more connected devices mean more opportunities for hackers and cybercriminals to launch an attack. The security risks associated with the IoT must be taken into consideration by businesses of all sizes. "If you have devices recording and reporting [data], there's a lot of risk," said Walker White, CTO of clean data solutions provider BDNA. "If a device is connected, it can be hacked. With fully automated security systems, someone could break in, lock all the systems, and even remotely turn the lights on before they get there. These are very real risks." If you think the answer is to "avoid the IoT," think again. White believes it will be nearly impossible to steer clear of the age of connectedness. "People say they won't embrace it, but that's like saying you don't embrace the Internet now," White said. "It's coming and you can't fight it. Everyone will benefit [from the IoT], but unlike other technologies, this has a great deal more risk. The broadest storyline here is to proceed with caution." Many businesses, especially smaller ones, are usually late adopters of technology, Makhdum said. But the IoT presents an opportunity for businesses of all sizes to add real value to their bottom lines, customer satisfaction and other significant KPIs. "It is very important that businesses remain proactive in building a plan framed around what part of their company can practically be 'IoT-ized,'" Makhdum told Business News Daily. "Framing and planning this will be crucial for successful IoT initiatives." Makhdum recommended investing in the IoT-related technologies such as sensors, data intelligence and infrastructure to support the volume of connectivity and resulting data. Focusing on employee training in both customer-facing and internal processes will also help companies take full advantage of the IoT. Finally, be sure to connect with others in and out of your industry to stay up to date on the latest changes that may affect your business. "There will be unpredictable and unexpected challenges that occur in real-time that will be hard to be prepared for," Makhdum said. "Collaborating with industry and cross-industry consortiums help ensure sharing best practices across the board."